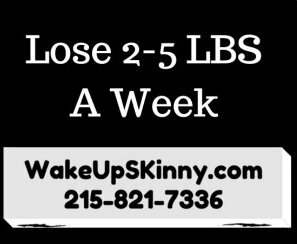 Yes, Gino has lost 11 pounds in 9 days with our medical weight loss program. And in this article I am going to tell you how he did it. 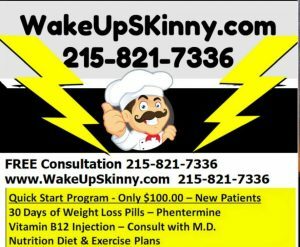 If you would like to come in for your FREE weight loss consultation call us now at 215-821-7336. If you’re one of our weight loss patients you already know that this past year I’ve lost over 80 pounds. 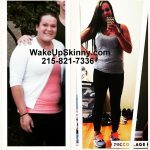 I dropped from 247 pounds all the way down to 165 and have kept it off. You also know that when I was 247 pounds I was diagnosed with diabetes and this pretty much forced me to lose weight and get my health under control. Sadly, my family genetics predisposes me to things like diabetes, high blood pressure and even high cholesterol. And Gino is my first cousin and suffice to say he has the same wonderful genetics that I do and was recently diagnosed with diabetes and high blood pressure; in addition to his being significantly overweight. So being the wonderful husband that his is; Gino listened to his wife Maria and came to see me in the office a couple weeks ago for a weight loss consultation. 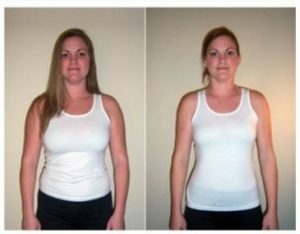 During the consultation we reviewed his medical history, his eating habits, etc… We decided that he was a good candidate for our weight loss program and gave him a detailed program on exactly what he should be eating and what foods that he should stay away from. Because of a bad back and other health conditions Gino cannot exercise so we agreed that he would really focus on what he ate and not do any intense type of exercise at this time. So just by following the diet plan that I gave him Gino has lost 11 pounds in 9 days. Suffice to say both he and his wife are extremely happy and Maria is bringing in her Father to so we can help him lose weight and hopefully improve his high blood pressure and diabetes. 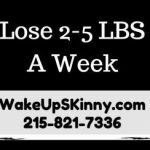 The great thing about our weight loss programs is that the weight loss pills and appetite suppressant medications really help control your appetite and cravings so you will be able to follow the food plan without being hungry all of the time. 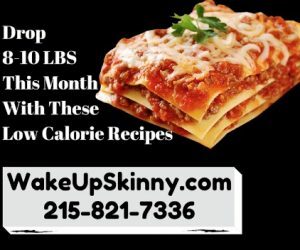 And we give you lots of great recipes for real food that tastes good and will help you achieve your weight loss goals. This lovely recipe makes 4 servings each with 160 calories, 5 g fat, 18 g protein and 14 grams of carbohydrates. The first step is to mix together the soy sauce, sugar and vinegar. Set up your lettuce leaves on 4 plates. Heat oil in a skillet over medium – high heat and add the scallops, garlic and ginger and stir-fry for about 30 seconds. Then add the red peppers and stir-fry for1 minute. Stir the soy sauce mixture and add to the skillet. Add the crab and gently stir-fry until it’s heated all the way through. This takes about thirty seconds or so. Then spoon over the lettuce. This is a delicious recipe and you can serve it warm or at room temperature. This recipe is a very delicious and fantastic recipe that makes 6 servings each of them having approximately 280 calories 10 g of fat 13 g of protein, 36 g of carbohydrates, 3 g of fiber and 290 mg of sodium. To make the salad: Let’s begin this phenomenal recipe by cooking your beans in a saucepan of just lightly salted boiling water until they are crisp and tender, this should normally take about 6 minutes. Then remove the beans and run them through a colander and rinse them under running water, cold water, to be sure that they stop cooking. Then add the pasta to the boiling water and cooked until they are firm, but not undercooked nor overcooked. After that drain the pasta in the colander and rinse them under the cold running water as well. Next In a large sized bowl combine your green beans, pasta, cucumber, red onion, tuna, olives and tomatoes. To make the dressing: whisk together your lemon juice, vinegar, mustard, Stevia, salt, black pepper and oregano in a bowl and then slowly whisk in the oil. Finally pour half of your dressing over the salad and gently mix this together. Then just spoon everything onto your serving plates and make sure that you place the remaining half of the salad dressing on the side. This is an awesome recipe that makes 4 servings, it takes about 26 minutes to totally cook in about 15 minutes to prepare everything. Each serving has approximately 320 calories, 33 g of protein, 10 g of fat, 20 g of carbohydrate and 8 g of fiber. Let’s start by combining the broth, ginger, orange juice and garlic in a medium-sized pan then bring to a simmer and add the chicken and cook this covered until the chicken is no longer pink, this normally takes about 15 minutes. Make sure that you turn your chicken while it is cooking to make sure the cooks evenly. Add your snow peas, cover and cook until the a crisp and tender, this should take about 2 minutes. Then remove the chicken in the snow peas and keep this liquid in the saucepan. Allow the chicken to cool down and cut it into cubes. Then combine the chicken and snow peas in a ball. Boil the cooking liquid once again until it’s reduced to about ¾ cup, this should take about 10 minutes. To make your dressing whisk into this reduce liquid your honey, peanut butter, soy sauce, oil and vinegar. The great thing is that you could serve this dressing either warm or chilled. Finally when you are ready to serve just place the cabbage and your lettuce over top of your serving dishes and add the water chestnuts, red pepper and half of the dressing to your chicken. Then just spoon onto the cabbage and lettuce mixture and finally sprinkle with your peanuts. Make sure to keep some of Europe’s salad dressing on the side. This recipe makes 6 servings each having about 220 calories, 7 g of fat, 20 g of protein and 20 g of carbohydrates. One large sweet red pepper, cored, seeded and cut into wide strips. First you should combine the vinegar, brown sugar, soy sauce, and ginger and garlic in a large plastic food storage bag and then add the chicken, seal this and refrigerate for approximately 30 minutes. After the chicken mixture is refrigerated for 30 minutes remove the chicken from the marinade and packed it dry and set the marinade on the side, should have about ¾ cups of marinade. Then heat oil in a large heavy pot over medium – high heat and add the chicken and cook this for about 5 minutes on each side, just be sure that your chicken is thoroughly cooked. Then after chicken is cooked remove your chicken and set it on a plate. Then you should put the snow peas and sweet peppers in the big heavy pot and cook them for about 2 minutes. Then add the marinade and broth and let this simmer for about 3 minutes after that add the coleslaw, cover and cook until the slaw mix is wilted this should take about 3 minutes. Now just slice your chicken and ¼ inch thick pieces and toss with coleslaw after that you can top of the scallions and the almonds. This recipe makes about 6 servings each having 280 calories, 12 g of fat, 24 g of protein and 26 carbohydrates. In a large roasting pan take your 2 tablespoons of olive oil and placed this pan in the oven while preheating at 425°F. In the hot roasting pan combine your potatoes, sweet pepper and green beans and season with ¾ teaspoon of salt. Roasted vegetables for about 30 minutes, just about until the potatoes are tender and vegetables are browned. Meanwhile in a skillet bring enough lightly salted water to cover chicken to a simmer. Add the chicken and simmer just until cooked all the way through, this should take about 10 minutes. Please just make sure that your chicken is thoroughly cooked. After the chicken is cooked set it on the side let it cool down for about 5 minutes then cut it into small pieces. Then in a large bowl mix together the rest of your olive oil, lemon juice, salt and pepper then add vegetables, chicken and parsley and mix everything together nicely. Then place your letters on your 6 serving dishes and spoon out your chicken mixture. I like to serve this warm but you can serve it chilled a little bit if you like. But again I prefer it warm. This is a really good recipe that makes 4 servings each having 260 calories, 14 g of fat, 25 g of poaching 11 g of carbohydrates. Brush your chicken with 1 tablespoon of vinegar and sprinkle with Italian seasoning, ¾ teaspoon of salt and ¼ teaspoon of pepper. Heat 1 tablespoon of olive oil in a large skillet over medium – high heat. Mixing the chicken and sauté this for about 6 – 7 minutes per side or until it’s a golden brown. You just want to make sure that your chicken is totally cooked. I would recommend that you do not cook all of your chicken at the same time you will have to do this and if you separate batches. As your chicken is cooked just move it to the side and set it on a platter to keep it nice and warm. But all of your chicken is cooked add the remaining 3 tablespoons of vinegar to the skillet and heat over medium heat stirring with a wooden spoon to loosen any browned bits from the bottom of the skillet. Add the rest of the 2 tablespoons of oil, ¼ teaspoon of salt and ¼ teaspoon of pepper to the skillet. Stir in your tomatoes, heat all the way through. Then pour the warm vinaigrette over the chicken and served over mixed greens. This is a really great recipe makes 6 servings in each one has 260 calories, 19 g of fat, 19 g of protein and only 8 g of carbohydrates. Start by taking a large skillet and you place your chicken in the skillet add just enough water to cover and simmer this cover until your chicken is cooked. After that let your chicken coal down and slice it into very thin strips. Then whisk together the vinegar, shallots, salt, pepper and mustard. Gradually blending the oil until everything is mixed together and stirring your cheese. Finally arrange greens on the platter with the chicken, tomatoes and avocado and top with the bacon and then drizzle with the dressing. This sensational recipe makes 6 servings each having 150 calories, 6 g of fat, 18 g of protein and 7 g of carbohydrates. For the dressing: Mix together the mayonnaise, barbecue sauce, hot pepper sauce, blue cheese and milk in a bowl. Now for the salad: Set your chicken in a glass dish. Add ⅓ cup of the dressing and hot pepper sauce and turn to coat well. Cover and then refrigerate for 30 minutes. While this is in the refrigerator mix the carrots, romaine lettuce, iceberg lettuce and celery in a bowl. Heat the broiler and move the chicken to the broiler pan rack and discard the marinade. Broil this 4 inches from the heat for 8 minutes, turn over and broil for approximately 6 minutes, just be sure your chicken is totally cooked. Add the rest of the dressing to the greens in the bowl. Then cut the chicken into slices and set on the salad. Now sprinkle with cheese and enjoy. 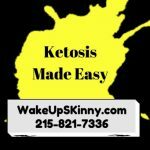 This entry was posted in Diet Doctors in Philadelphia, Medical Weight Loss, Weight Loss and tagged 39.9500° N 75.1667° W, Adipex, Belviq, Bontril, cheap phentermine in Philadelphia, Contrave, diet pills Philadelphia, doctors prescribe phentermine Philadelphia, Langhorne PA 40.17°N 74.91°W, medical weight loss bucks county pa, medical weight loss doctors Philadelphia, Medical Weight Loss Philadelphia, Phendimetrazine TartrateCR, Phentermine, phentermine in Philadelphia, philadelphia diet doctors, philadelphia weight loss doctors, Popular diet pills, Qsymia, saxenda medical weight loss philadelphia, vitamin B12 injections Philadelphia, weight loss philadelphia, weight loss pills in philadelphia, weight loss pills philadelphia, weight loss programs Philadelphia on June 4, 2016 by Dr. Michael Kenny.